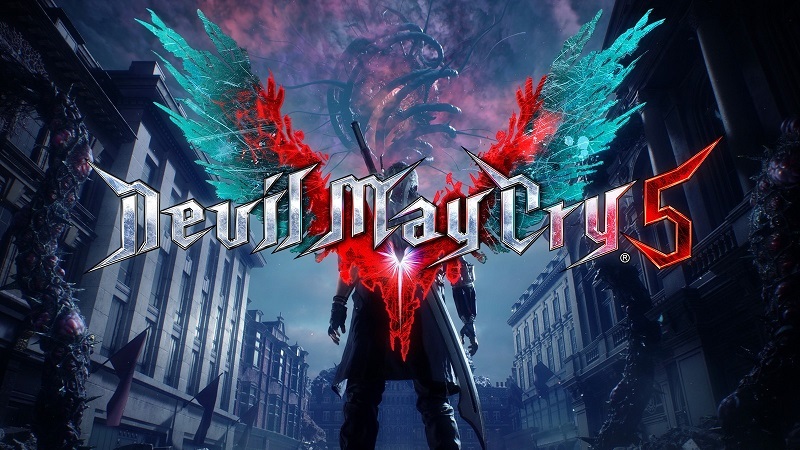 It’s still hard to believe that we have a new Devil May Cry game release on the horizon, and one being developed by Capcom at that. It wasn’t too long ago when the series’ future was in serious doubt, with Capcom themselves handing over development duties to Ninja Theory for the 2013 DmC reboot. Seeing as that game was divisive at best, it seemed like the series was gearing up for a permanent vacation. However, Capcom has been experiencing something of a rebirth lately, with their most cherished IPs coming back and in fine form. Devil May Cry 5 is the latest to take a swing at a big comeback, and if the Xbox One exclusive demo is indicative of the full experience, then I’m all in. The demo doesn’t beat around the bush in terms of getting you right into the action, as you’re dropped into an area called Red Grave City and are in combat in no time. The gameplay here is focused solely on Nero, who returns from Devil May Cry 4 but has some new tricks up his sleeves. The biggest one is the addition of the new Devil Breaker system, which essentially gives him access to numerous robotic arms that all come with their own abilities. The Devil Breakers are actually items that you’ll acquire as you progress through the level, and they’ll break upon use. The ones accessible here are Overture and Gerbera, and each comes with its own regular and charged attack. Gerbera was a personal favorite, considering that it allows for greater mobility with a dodge maneuver while also sporting a fantastic AoE charged attack that shoots a massive energy beam that you can spray at numerous enemies. Overture has its uses, as well, as it’s better suited as a finisher against regular enemies or to just knock them back with a shockwave. Outside of the new Devil Breakers, the moment-to-moment gameplay is exactly how you would want it to be in a Devil May Cry game. The combat is frantic and slick, and it’s all running at a smooth 60fps. 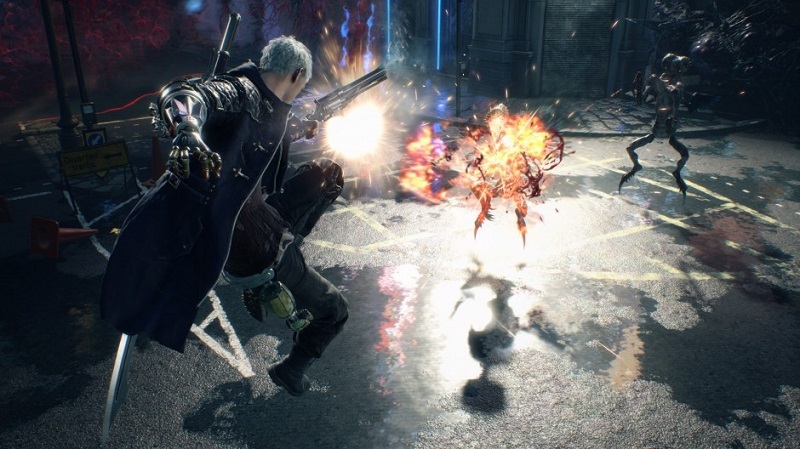 While the demo obviously doesn’t allow for some of the more intricate combos that you’ll typically get deeper into a DMC game, being able to swap between Nero’s Red Queen sword and Blue Rose double-barreled revolver on the fly feels great. Mix those in with the Devil Breakers and I’m already excited about the potential combos that will be possible in the full release. Seeing as this is a demo, it’s kind of hard to gauge how enemy variety will end up going. The enemies here are your basic demonic grunts that aren’t too much of a pain to deal with, but can still cause big damage if you end up getting swarmed. There are a couple of scenarios where you find yourself stuck in a small area with groups of them, requiring you to juggle between them as you dish out your stylish damage. The series’ tried and true style grading system is alive and well here, rewarding you for switching things up with your attacks and avoiding damage while punishing you if you get stale with your moves. Thankfully, the curtain doesn’t close before we can get a taste of one of the game’s boss fights, and this one certainly didn’t disappoint. Players are tasked with taking on a monstrous ogre called Goliath, who moves slowly but deals some serious damage if his hits land. The most memorable thing about this boss fight is that it ends up taking place in three different locations, starting off on the roof of a building, then to the room below when the floor collapses, and then finally out into the much more open streets. It kept the encounter exciting as you slowly pick away at the monster’s big health bar, while also allowing for different combat options. While I was initially a little disappointed that we’re focusing on Nero here rather than Dante, Capcom has definitely improved upon the character a lot since Devil May Cry 4. He is able to stand on his own more here, and the snarky dialogue that he delivers throughout the demo was very entertaining. He even has a new hairdo that is more akin to Dante’s from DmC: Devil May Cry, which is a big improvement in my opinion. Dante is also set to be playable in the full game along with new character V, so there’s really nothing to complain about in the grand scheme of things. The whole ordeal is over in about 20 minutes, but once my brief time with the demo concluded I left with a big smile on my face. 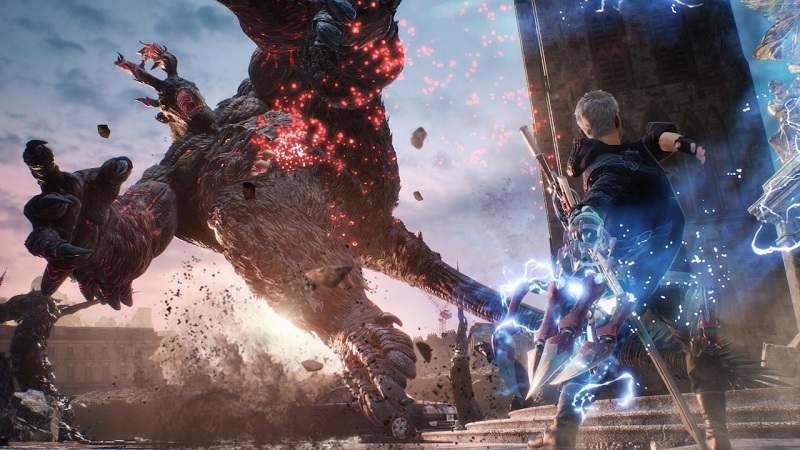 Capcom is setting the stage for what should be a fantastic return to form for the series with Devil May Cry 5, and suddenly the wait for the full release in March 2019 has become that much harder to endure.